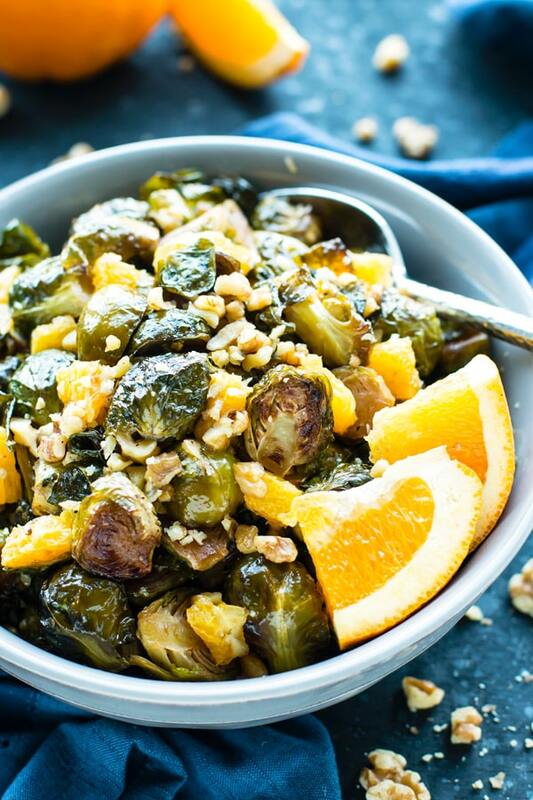 Orange & Maple Glazed Brussels Sprouts is a stunning side dish that is sure to impress guests at your Thanksgiving or holiday table. These roasted Brussels sprouts are free of gluten, grain, and refined sugar and can easily be made vegan! The star of today’s discussion… the almighty Brussel Sprout! Growing up, any time the phrase “Brussels sprouts” was mentioned, the large majority of people would contort their faces in disgust. Somewhere in the last few years, however, it is as if some famous celebrity tweeted how cool Brussels sprouts are and now they have become a hugely trendy food. All of the hip restaurants now seem to pride themselves on how awesome their Brussels sprouts are. 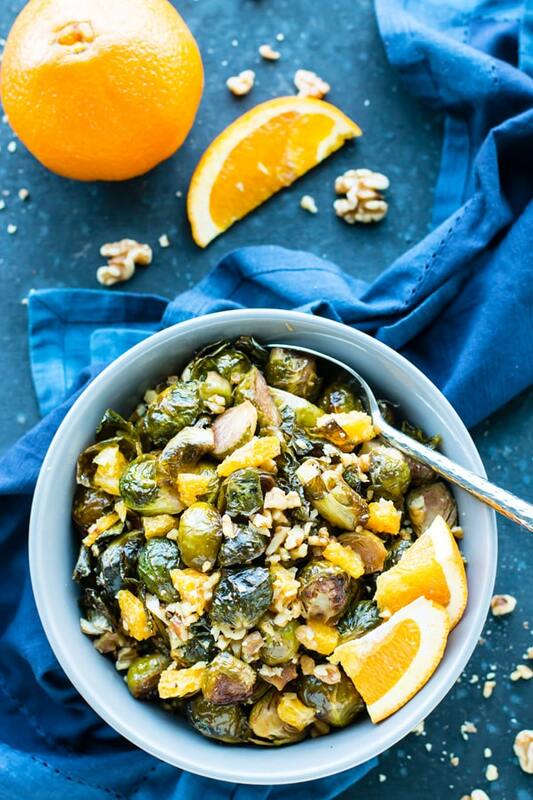 These orange & maple glazed Brussels sprouts are the perfect example of how this cruciferous vegetable makes an incredible convoy for delightful sauces. With enough salt, sweet, and a bit of spice, even the pickiest of eaters will likely reach for seconds. Not only do these orange and maple glazed Brussels sprouts taste ah-maaaazing, but they are also EXTREMELY good for you! Brussels sprouts are part of the cabbage family and have potential anticancer properties. Brussels sprouts are high in folic acid, vitamins C & K and beta-carotene. 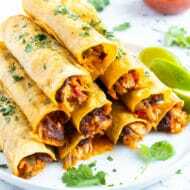 They are also a great source of Vitamin B6, Thiamine and Potassium. Brussels sprouts bring in a minimal amount of calories (only 35 cals/100 grams!) and a maximum amount of fiber. 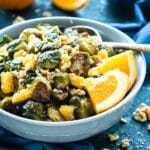 Add in a bit of omega-3s from the walnuts and even more Vitamin C from the oranges and the orange & maple glazed Brussels sprouts are a nutritional powerhouse. How Can You Evolve these Orange & Maple Glazed Brussels Sprouts? Feel free to swap out the maple syrup for honey or agave nectar. Walnuts can be substituted for almonds or pecans. Avocado oil can be used in place of the olive oil and butter. 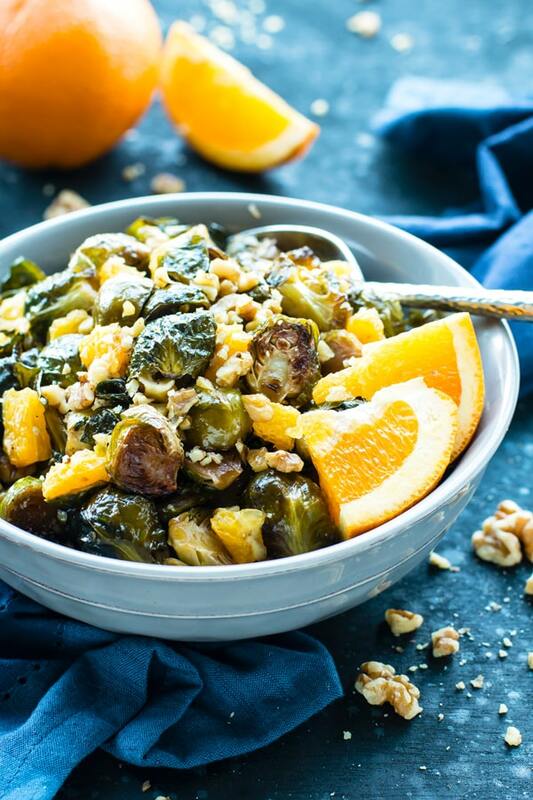 Orange & Maple Glazed Brussels Sprouts is a stunning side dish that is sure to impress guests at your Thanksgiving or holiday table. 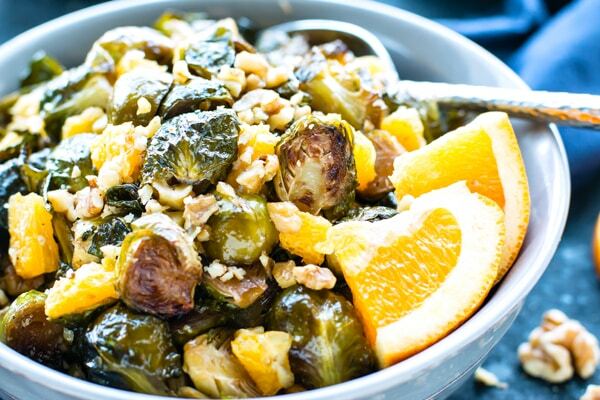 Want more recipes like these Orange & Maple Glazed Brussels Sprouts? I’ve never met a sprout I didn’t like but this looks DELIGHTFUL! Am pinning this and can’t wait to give it a try. Sprouts are the absolute best!! Can’t wait to hear what you think, Jules!